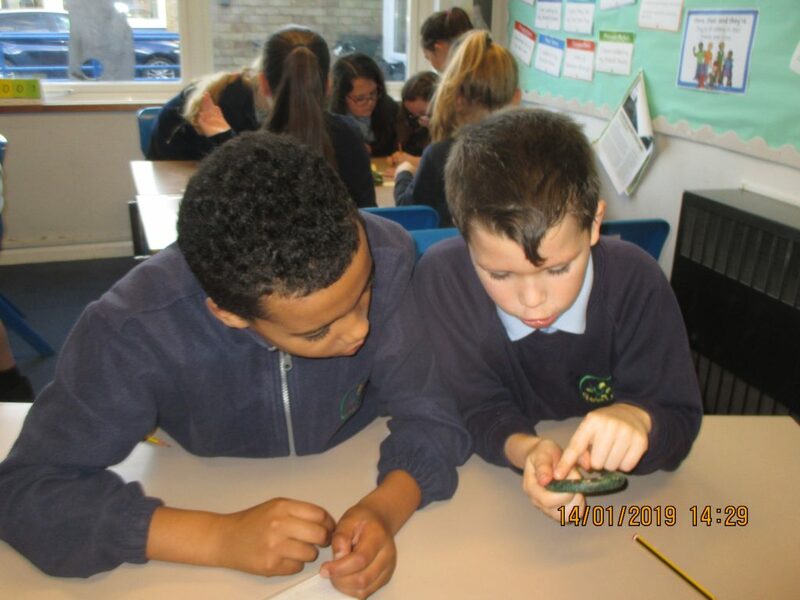 A challenging afternoon of trying to date and work out what different artefacts. 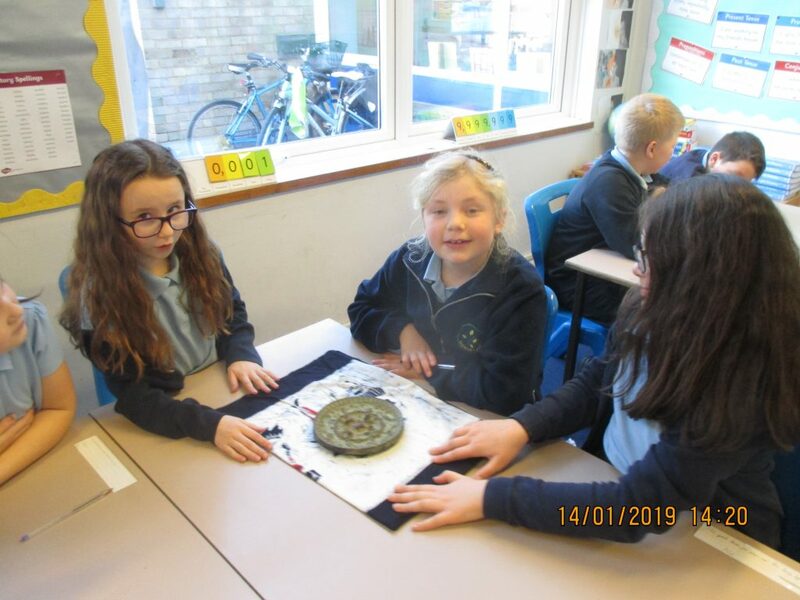 We looked carefully at a Greek arrowhead dating from 1000 BC, ammonite fossils, a 100 AD celtic bracelet and spear head, a Tang dynasty 500 AD bronze mirror with intricate patterns of birds and grapes and a more recent artefact of a wooden ammunition box from the second world war. 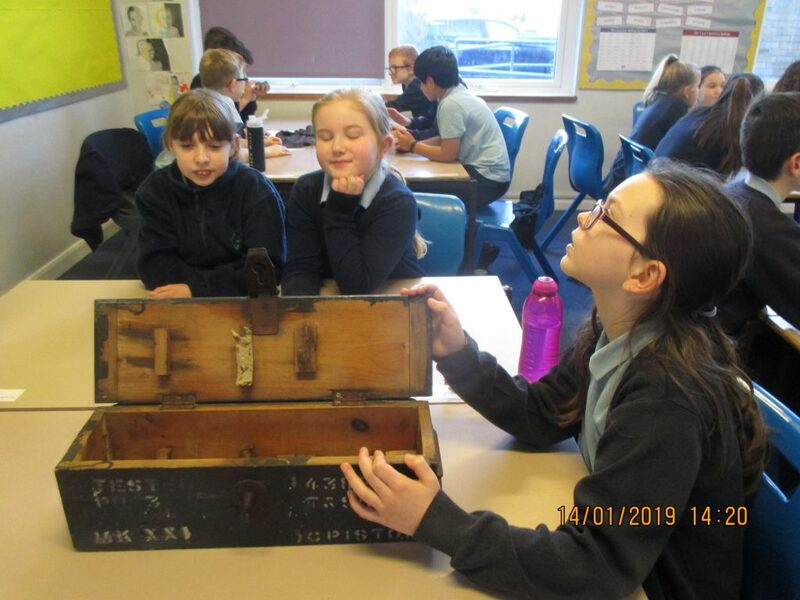 We looked at the materials they were made of and how they had oxidised over time and for clues such as dates or markings. 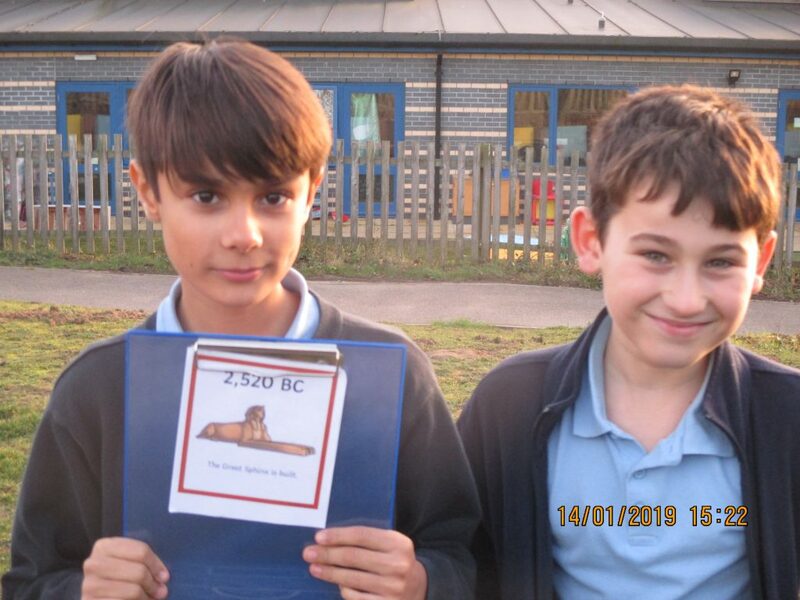 Then we created a timeline of the artefacts and added in main events from Ancient Egypt. 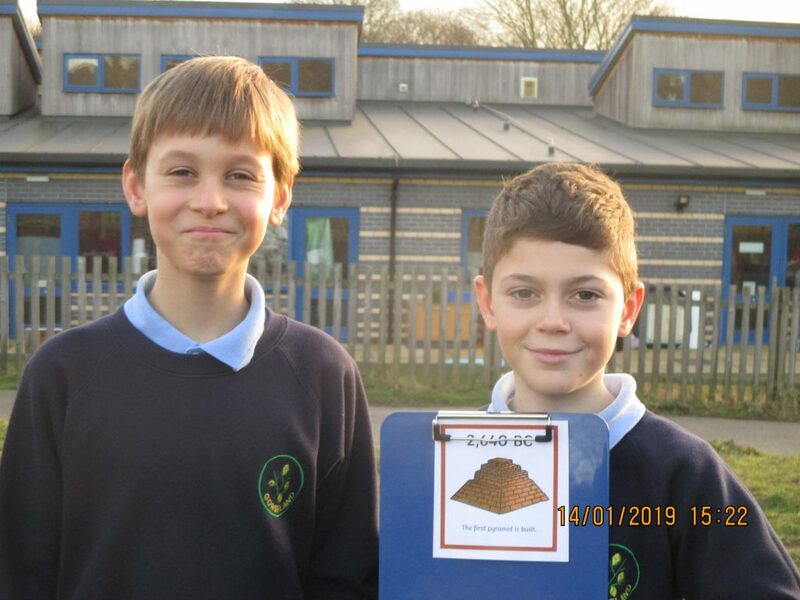 Up on the top field we organised ourselves into chronological order holding the timeline to see how our artefacts and events were ordered.